It’s time for another edition of the Tableaudown. A casual look back at the BI and Tableau related posts, comments and vizzes that have impressed or enlightened us at VN towers. Hell they might even have made a grown ninja cry. This one looks back a couple of months so you might have seen some of the info, but maybe not. @ChrisLuv – On a mission to show the power of Alteryx. Thanks for all the help with my Winter Olympics viz. @emily1852 – Love your blog Emily. Keep it going. @MonaChalabi & @GuardianData – thanks for featuring my viz on the Guardian Data Blog! It’s time for this month’s Tableaudown! A casual reflection on some of the items that caught our eye over the last month. Hope you find them useful. Thanks for all the support this blog has had. Shows what a fine community we have in this field. @visualisingdata – Hope you got your IT issues sorted Andy! @_tombrown_ – Looking forward to some Alteryx training in Jan. Cheers. Looks interesting this one. I’ve only skimmed it as I’m still enjoying Information Dashboard Design and Tableau Your Data (see last month’s Tableaudown). Will report back when I’ve had a change to take a proper look at this. Remember, keep spreading the Tablove. All I want for Xmas is a whole lot of data, preferably in a nice format. Hi Tablites and welcome to what we at VizNinja like to call The Tableaudown. Geddit? Like the lowdown. Only with Tab at the start….. Ok be like that, I thought it was good and I’m in charge here so it’s staying. 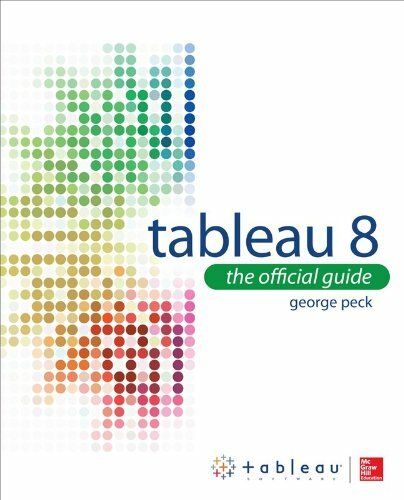 It’s gonna be a monthly digest of some of the Tableau and BI related stuff that’s kept us busy/interested/entertained here at Ninja Towers. Hopefully it will prove useful to some of you. There are a few similar digests out there and this isn’t intended to replace or compete with them, it’s just things that took our fancy this month. Random shout outs to those who’ve made our lives easier or made us smile. @vizcandykelly – Thanks so much for your outstanding blog and fuz viz. Zombies! @jonathandrummey – The only blogger who combines BI insight with parenting! And he seems to be great at both. @cheeky_chappie (& Thasan V) – Thanks for the help with our secret-ish project. 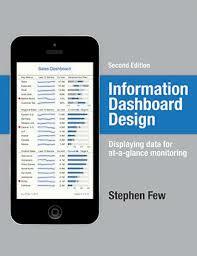 We should be able to unleash it on the Tableau world early next year. @odbin – Cheers for the questions and interest in my blog post – Tableau as an IT Service. @DGM885 – Cos your new book is the business and looks mega on my iPad Air. Some of the publications that we’ve spent time with. Stephen is a true legend in this field. Be sure to read and digest his every word. New Ninjas get this as part of their welcome pack. Or at least they would if The Book Depository ever get around to actually delivering it. Now this is the one we’ve really been looking forward to. 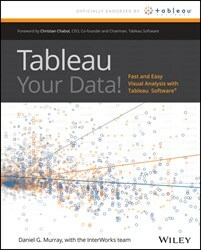 This is the best guide I’ve seen to getting the most out of Tableau. Make sure you follow @DGM885 as he’s one of the most insightful experts out there. I’ve gone for E-book this time. Looks lovely on iPad Air. A history of Sachin Tendulkar’s test scores – Tableau style. Thanks Indumon. Zombies! They’re coming! – Thanks @vizcandy. Remember, keep spreading the Tablove.